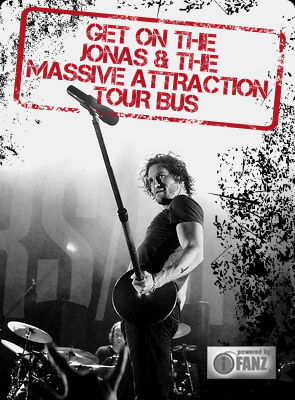 Jonas & The Massive Attraction can’t wait to kick off their acoustic tour in Quebec and Ontario, with a string of acoustic duo performances by Jonas and guitarist, Corey Diabo, April 4 – 26, 2012. The guys are touring in support of the band’s NEW CD “UNPLUGGED” that hit stores across Canada on February 14, 2012. Jonas & The Massive Attraction will perform a very special “Not To Be Missed” FULL BAND “Unplugged” performance at L’ASTRAL in Montreal on April 14, 2012, with special guest Steve Hill. Tickets for the show are selling fast, so GET YOUR TICKETS NOW at BUY TICKETS or by calling 1-855-985-5000. For the full list of the “UNPLUGGED TOUR 2012” shows see TOUR DATES. The new album “UNPLUGGED” is available IN STORES NOW across Canada and ON-LINE at BUY NOW!